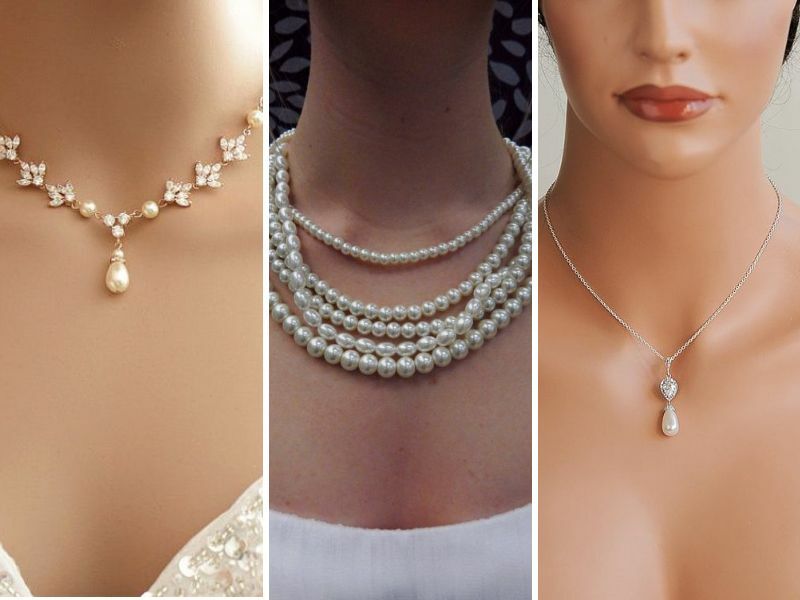 Types of Necklaces for Different Brides! Something Different for a Boho Bride! For your D-day, choosing the right kind of jewelry is very important. It should be updated and trendy as well. Your bridal jewelry should be styled to compliment your bridal gown. Avoid loading up too many accessories and the jewelry you are going to wear should be a reflection of your own personality. 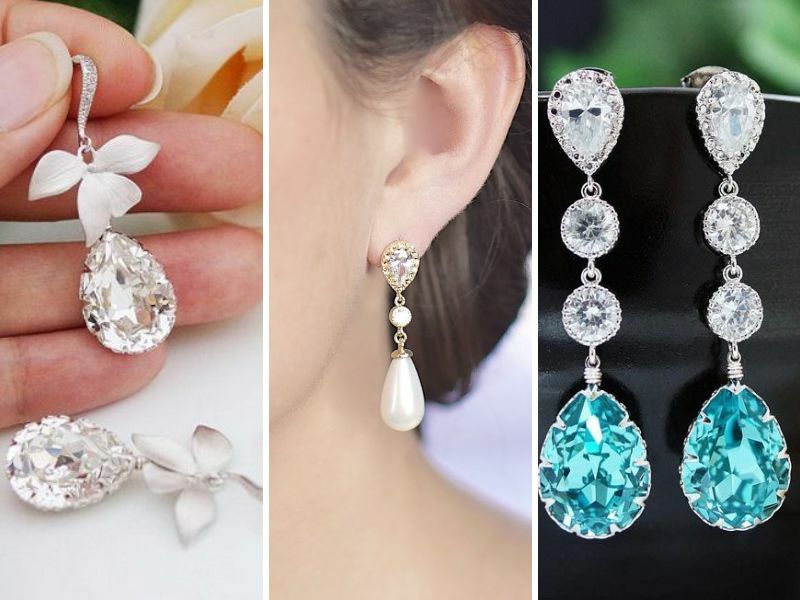 Here are some wedding jewelry ideas and suggestions to help you choose the best. You just can’t end up on any jewelry that you find attractive. The vital points like the style of wedding, season, time (white pearls for day and glitzy crystals for night), style of gown, its neckline, your hairdo, all these points must be considered. Let’s take a detailed look. A necklace not only rests smoothly against the breastbone but also complement your bridal look. 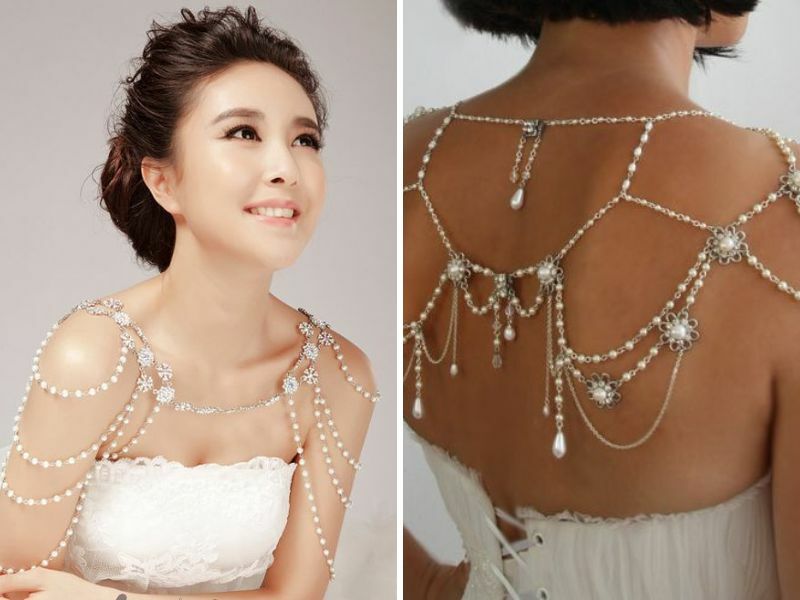 Let’s take a look at some trendiest necklaces that add spark to different bridal looks. A crystal bridal necklace, undoubtedly, the trendiest and timeless of all, perfectly elevates the look of a traditional bride. It looks great with both A-line silhouette and ball gown. Necklines like strapless sweetheart neckline or deep V plunging neckline, can be accessorized with it. Single, double and multi strand pearls also look great on a traditional bride. Marquise necklaces and pendant necklaces go great with a traditional dress having deep V neckline, or with a strapless dress. Note: There's no need of a neckpiece for halter or reverse halter neckline. Same is the case with high neckline. Dramatic earrings are enough. 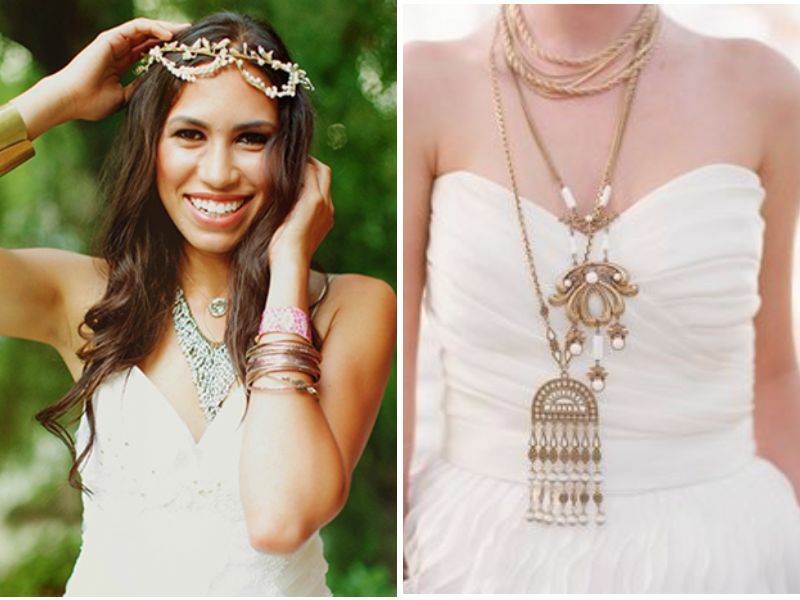 A bohemian-inspired bride or a beach bride would normally look for chic wedding jewelry ideas. They prefer wearing casual accessories like cocktail rings, pearls and floral necklaces. Another trendsetting boho-chic trendy jewelry item is the shoulder necklace. These are a perfect way to adorn a simple bridal strapless gown, to get a gypster look. 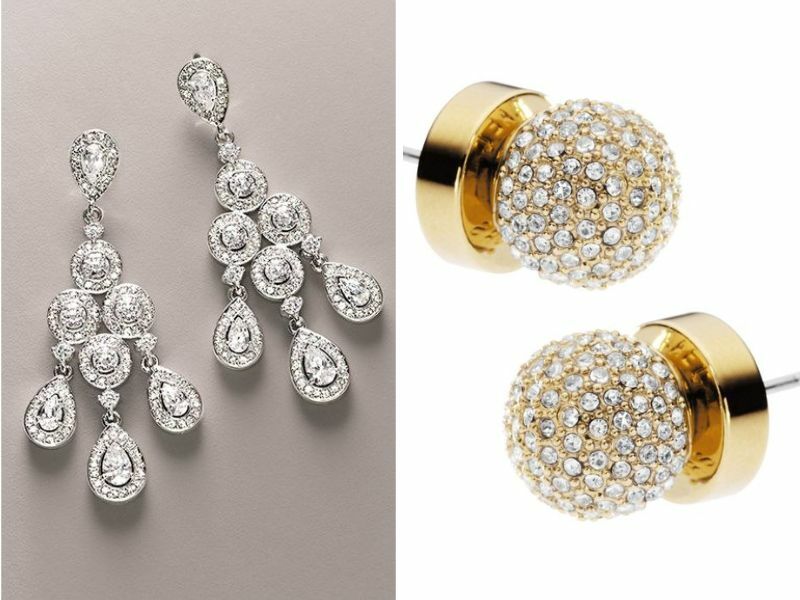 For bridal jewelry, diamond drop and linear earrings are timelessly trendy. These go great with any traditional dress. Diamond studs add a sophisticated glow, when paired with a large necklace (multi stranded pearl necklace) especially with a strapless gown. Show off your trendsetting style with chandelier earrings with a simple neckline. Head accessories are getting popularity with every passing season. Traditional brides with classy ball or princess gowns look timelessly classy in a tiara. Gypster brides are always up to something unique and light. Especially for a beach or destination wedding, floral headpieces are the most appealing head accessory. These add a touch of nature inspired beauty to your look. Various bridal hair updos especially chignon and buns are beautifully adorned with bejeweled headbands and hairclips. 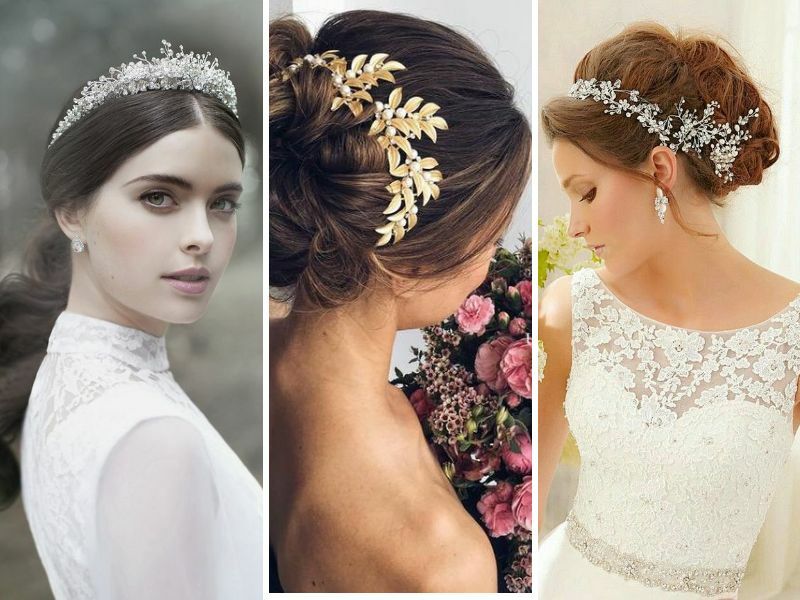 These crystal studded hairpins and headpieces are suitable for both formal and informal weddings. Note: Your wedding theme and color can also inspire your choice of bridal jewelry. 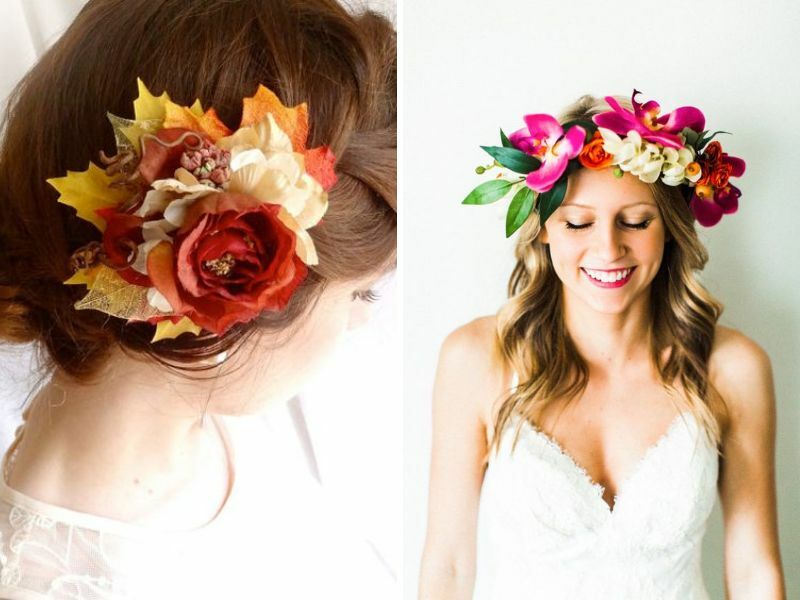 For a spring wedding theme, brides should try freshly-hued floral crowns. Same is the case with a fall winter wedding. Dry leaves, feathers and fall hued flowers can make an eye catching headpiece. 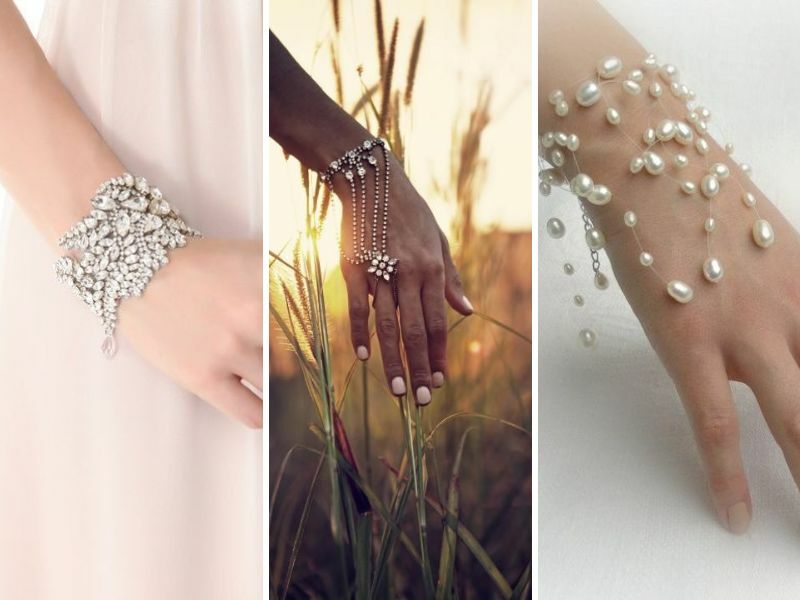 For a traditional or formal bride, white pearl or crystal bracelet gives a classy look. 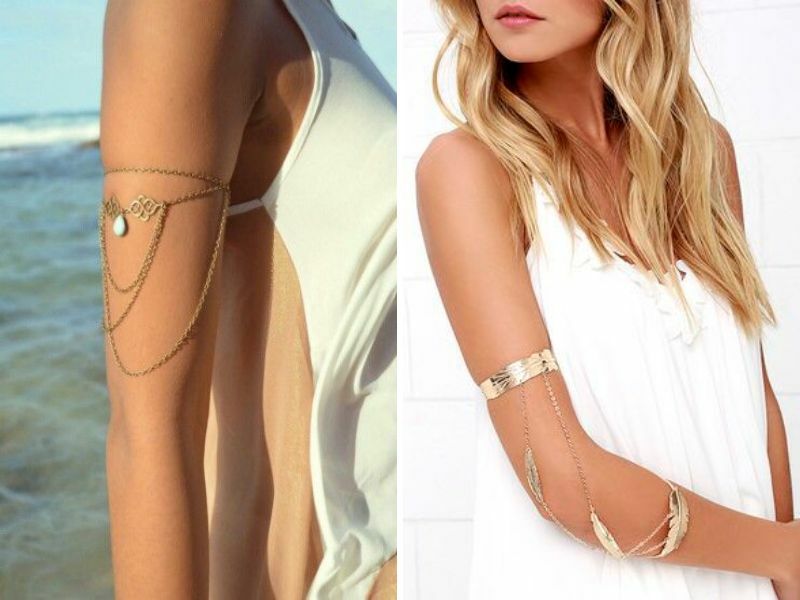 Whereas most of the funky chic brides prefer wearing a bejeweled armlet or cuffs bracelets to elevate their boho-inspired wedding dress. Bridal dresses with open or deep V backs guarantee to give a standout style to fashion savvy brides. They can further elevate their looks with a lariat. The glitzy touch of lariat adds a radiant shine. 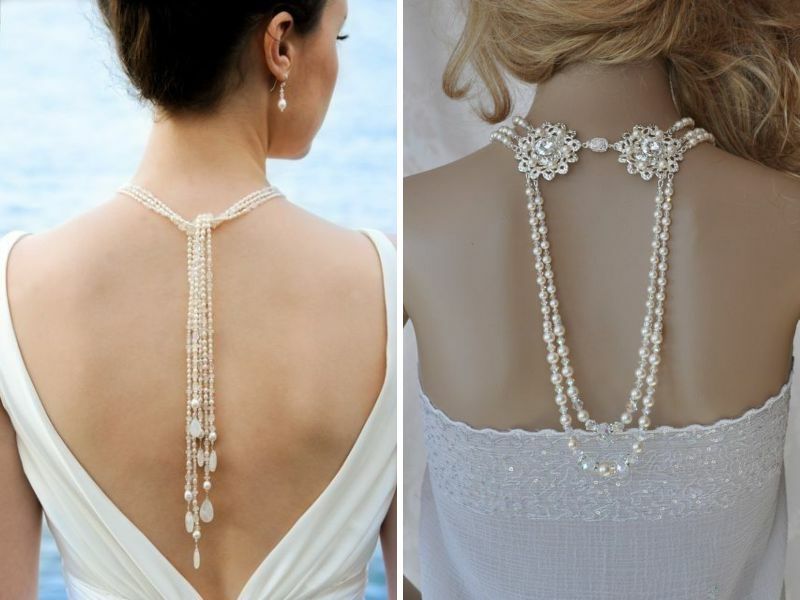 Find your perfect accessory with our wedding jewelry ideas for a beach wedding. For Boho-chic brides, a barefoot piece of jewelry adds an eye catching sparkle. Wedding dresses with adorned neckline and heavily embroidered bodice must not be accented with heavy jewelry and necklaces. It would create a clash between the two. Avoid overdoing the accessories. Just try to look the best of your regular self. Do not try to experiment with something exceptionally new. For necklaces, prefer wearing deep necklines. It would look glamourous, making the necklace more prominent and the dress less revealing. 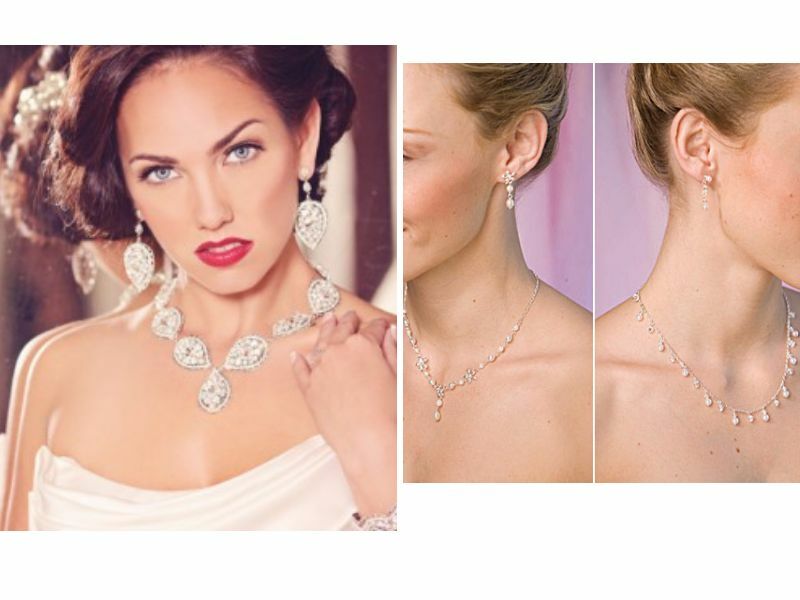 For a perfect bridal look, the position of a necklace and earrings are always interchangeable. Only one of these jewelry pieces can be the focal point. The choice is yours. For a classier look, matching pearl necklace and earrings make the best pair. Get your jewelry metal matched with the embroidered detail on your bridal dress (if there is any). No need to stick to ivory or white alone, adding pops of colors in the bridal jewelry is another great idea. 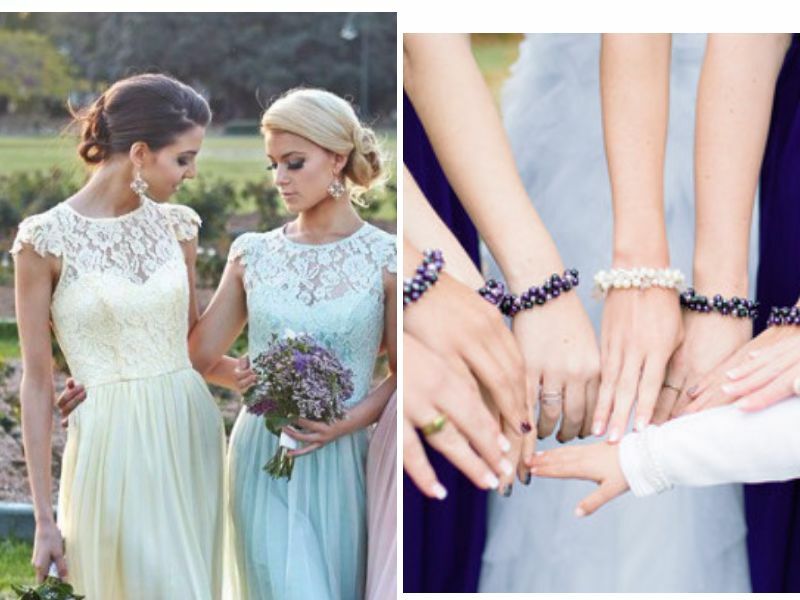 A rainbow colored necklace look great against white bridal dress. Your skin tone can also help determining your wedding jewelry style. Varrious metals like yellow gold, rose gold and white gold, look different against different skin tones. It would be good if you find the metal that looks right with your skin tone. 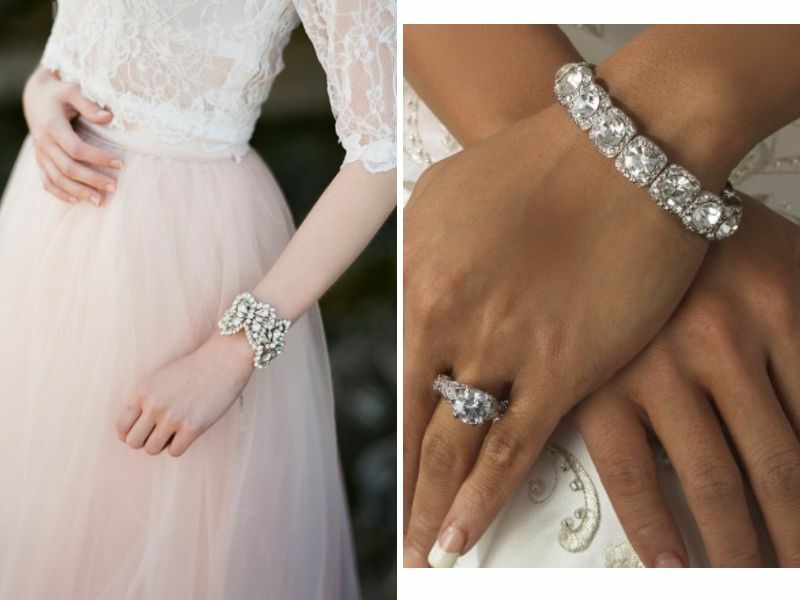 For bridesmaids wedding jewelry ideas, we recommend following the latest trend of one statement jewelry. Bridesmaids should wear jewelry in a balanced way. From a dramatic cuff bangle, statement neckpiece, or chandelier earrings, wear one at a time. There are no restrictions for bridesmaids in the selection of jewelry. They can wear rhinestones, pearls or colored stone. It should coordinate their style and personality. 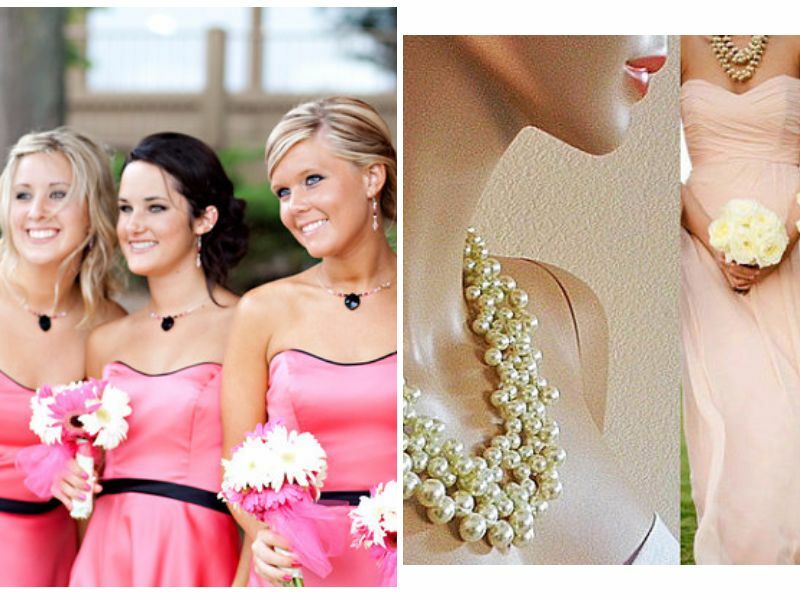 For simple bridesmaid dresses, try dramatically designed ornamented jewelry. And if you have selected embroidered or embellished dresses, opting for simple jewelry like pearls is highly recommended. 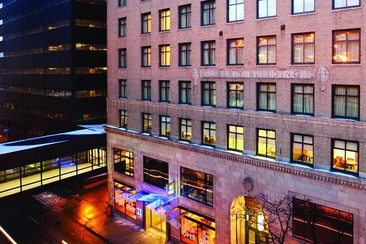 The Vegas best places for getting married include many choices, from luxury ballrooms to drive-thru chapels. 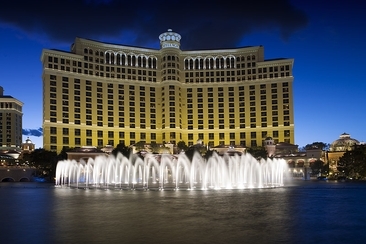 Couples choosing to exchange their vows in Las Vegas will remember it always. 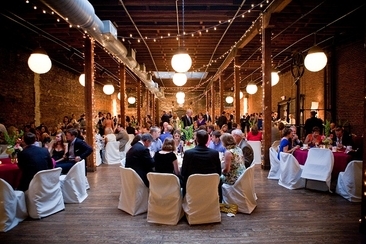 Are you planning a big bash on your nuptials? 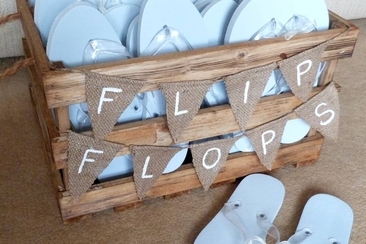 We recommend you to buy cheap flip flops for wedding if you want it to be a night to remember. Keep reading to find out where to buy.